Travel lights, flashlights full-spectrum lamps and other lighting products for general use. 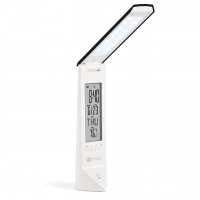 The Multi-Function LED Travel Light features an LCD display with date, time, ambient temperature and snooze alarm. 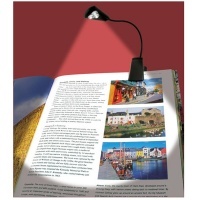 This portable light has a folding shade with variable brightness control. Also included is a USB rechargeable, built-in Lithium-Ion battery with an LED charging indicator.